Noe Nino de Rivera is 17 years old and is in critical condition at St. David’s Medical Center in Bastrop in Texas after he was tased by a school resource officer, according to the family’s attorney. The teen allegedly interfered with with two sheriff’s deputies working as resource officers who were trying to break up a fight between two female students, via InfoWars. Other student witness dispute that claim. 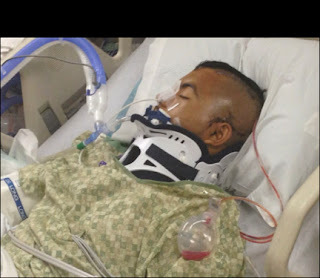 The student fell hitting his head after being tased, which resulted in brain damage. The family has filed a lawsuit against the Bastrop school district according to local news reports.